Originally from Ontario, I moved to the Northwest Territories over forty years ago. My first seven years were spent living in Ulukhaktok, which back then was then known as Holman Island. It was during my time there that I was taught by friends how to travel and live off the land. That apprenticeship provided me with the skills essential to conducting my Franklin Expedition searches over the last twenty four years. In 1984 I relocated to Cambridge Bay, Nunavut where I started a technical career with the NWT Housing Corporation. It was in the early 1990’s that I became interested in the Franklin Expedition or, as some say, was bitten by the bug! I spent the first three years reading and theorizing on what might possibly have happened to the expedition and became convinced that the grave of Sir John Franklin and some of his crew members would be located somewhere along the northwestern shore. Most importantly, however, I believed that the records of the expedition were buried with him and that there was a good chance that they had survived and remain intact to this day. Armed with the Peter Bayne Story, my first visit to Cape Felix was in March of 1994 with a good friend and fellow Franklin Expedition searcher Louie Kamookak. In 1995 I moved my family to Hay River, NWT but continued to return to King William Island each summer to conduct further investigations of the area between Cape Jane Franklin and Cape Felix. During the years spent in that area, I was able to record a number of Franklin related sites including the location of the Cape Felix camp first discovered by Lt. Hobson in 1859. The real turning point came about in 2009 when I shifted my attention southwards, down towards Erebus Bay. I had come to the conclusion that the information in the Victory Point document may have been misleading everyone and that the Franklin Expedition wintered in 1847 at a location other than what we are led to believe by the document. Based on Inuit testimony and from discoveries made in 2011, I came to the conclusion that Erebus Bay was the location of the Peter Bayne story and that it would hold the answer to the Franklin Expedition mystery. After completing a number of unsuccessful ground searches it was decided that for our 2015 field season we would complete an aerial survey of two primary areas of interest. The aerial survey was successful and a site was located that was clearly related to the Peter Bayne / Pat Coleman story. The problem with the site is that it is well hidden and two attempts to relocate it in 2016 were not successful. Another attempt at locating the site by air was completed in 2017 and, although the stone vault site was not seen, we did find what appears to be the Franklin Expedition camp site (possibly used in 1847). This summer’s expedition will make an overland journey into the area where I believe the answers to this Arctic mystery reside. It is also a once in a life time opportunity to capture such a discovery on film. 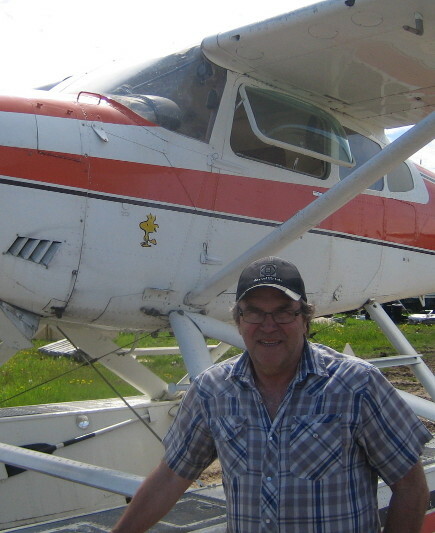 Darcy King, Hay River NT, is co-owner and operator of Landa Aviation, a family owned air charter business. Darcy joined Tom Gross on the Peter Bayne / Pat Coleman Project in 2015, the first year that an aerial search for Franklin sites was conducted. Darcy was a team member of both the 2016 and 2017 searches as well. 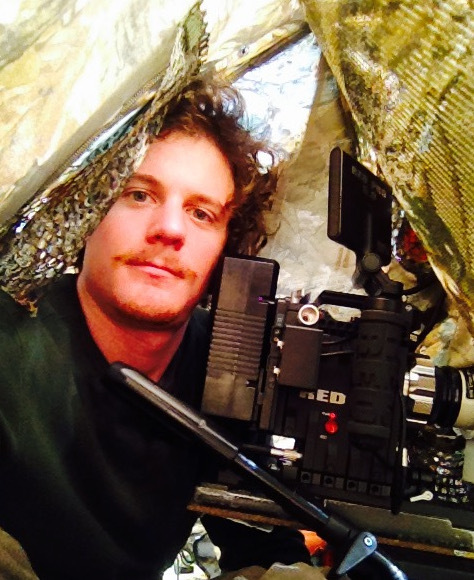 Domenico Pontillo is a natural history and documentary cameraman specialising in human interest stories, long-wait hide-work and underwater camerawork. He has years of field experience and has spent months on uninhabited islands during various filming assignments. He is a rescue diver, recreational climber and avid hillwalker. Jacob is a resident of Gjoa Haven and is currently the President of the Nattilik Heritage Society. A hunter and former trapper, Jacob has vast knowledge of King William Island and the surrounding territory. Jacob has been part of the Peter Bayne Project since 2011. Kevin Cronin lives in Dublin, Ireland. He is married to Suzanne. They have 4 children and 6 grandchildren. He is a retired accountant. In 2001 he was a member of the crew of the Irish sailing boat 'Northabout' which successfully traversed the North West Passage and sailed from Ireland to Nome, Alaska. In 2003/4 he completed the circumnavigation of the Arctic with 'Northabout' when she sailed over Siberia, Russia and Scandinavia and returned to Ireland. 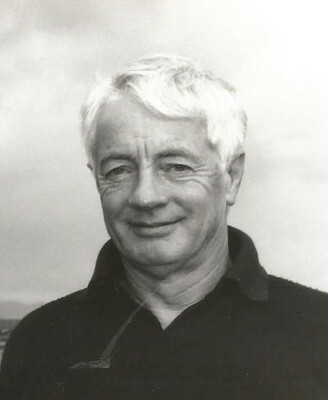 In 2002 he took part in the Irish/Canadian expedition led by Dave Woodman which narrowly failed to locate the wreck of Franklin's ship 'Erabus'. He is delighted to get the chance to return to King William Island and participate in the Bayne Coleman Expedition. 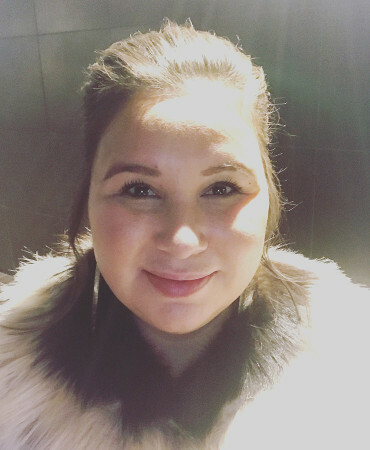 Pamela Gross lives in her home town of Cambridge Bay, Nunavut, after completing Inuit Studies I & II at Nunavut Sivuniksavut and a degree in Anthropology and Aboriginal Studies at Carleton University. Pam is the Executive Director of the Kitikmeot Heritage Society, a non-profit organization that promotes and protects Inuinnait culture, located at the May Hakongak Community Library and Cultural Centre in Cambridge Bay. Pam was recently elected as the Mayor of Cambridge Bay. Pam’s curiosity and passion for history was influenced by her father Tom, and the Franklin Expedition continues to be a favourite topic of conversation. Russell S. Taichman D.M.D, D.M.Sc. Russell S. Taichman D.M.D., D.M.Sc., the Major Ash Collegiate Professor in the Department of Periodontics and Oral Medicine at the University of Michigan School of Dentistry, serves as the School's Associate Dean for Research. Taichman's fascination with the Arctic began as a child in his native Toronto. His father told stories about the early explorers, and he eventually began annual wilderness trips into the far north. 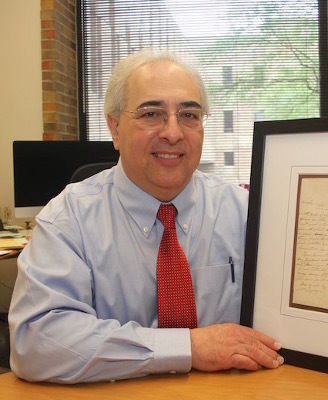 Over the last few years he has become a contributing member of a small but fervent network of Franklin experts from around the world. As a hobby, Taichman is thrilled to bring his expertise as a faculty member into play for research related to his Arctic avocation. Taichman lives in Ann Arbor, Michigan, USA with his wife and daughter. 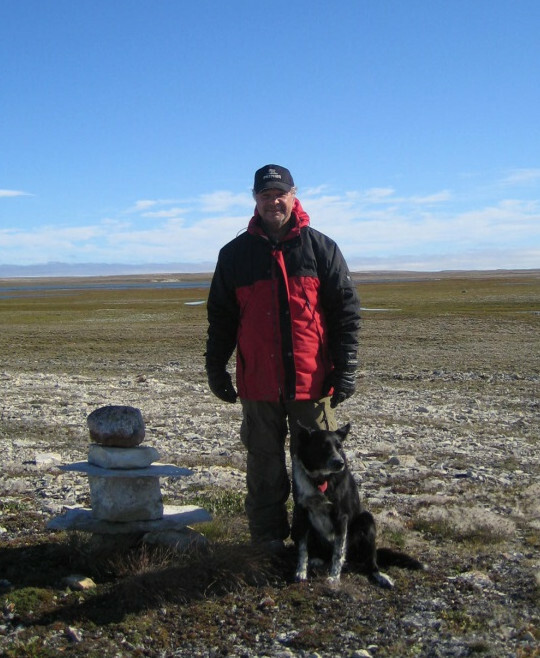 He has made 16 trips to the Arctic, and two with Tom Gross looking for Sir John Franklin's grave (2015, 2016). He has published two peer reviewed papers focused on the Franklin Expedition ("A Critical Assessment of the Oral Condition of the Crew of the Franklin Expedition" in Arctic, and "A comparative analysis of the Su-pung-er and Bayne testimonies related to the Franklin expedition." in the Polar Record). 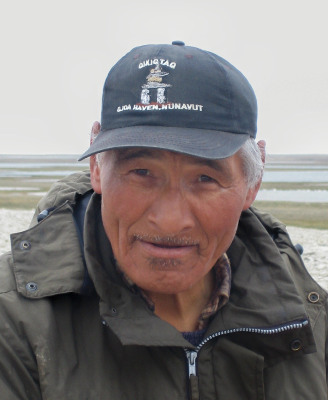 Saul Aksoolak is an Inuit elder from the community of Gjoa Haven NU. 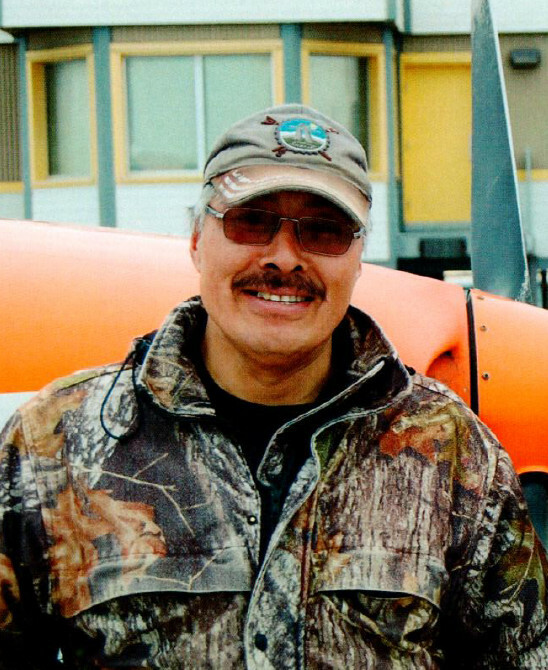 A lifetime hunter and trapper, Saul has great knowledge of King William Island and the areas surrounding it. In his younger days, Saul trapped arctic fox up and around the Cape Felix area. 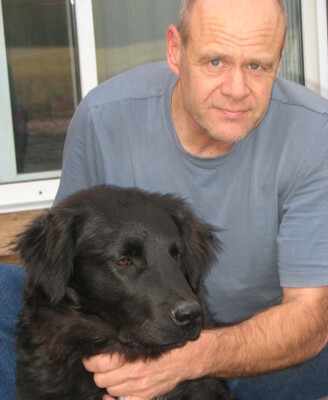 He participated as a guide in David Woodman’s Irish / Canadian Expedition that searched for the Franklin ship in the waters of Utjulik from 2001 – 2003. The HMS Erebus was found there in 2014. Saul also participated with Tom Gross in the Peter Bayne Project surveying Cape Felix in 2006. Bill Moure is a metallurgical engineer who owns and operates a non-ferrous metal recycling and manufacturing business. He holds a bachelor's and a master's degree in engineering, both from the University of Alberta. He and his wife, Mary Lister, live on a farm at Pigeon Lake, Alberta. Aside from business, his activities centre on the outdoors: hunting, fishing and prospecting (mostly in Canada's north). A volunteer firefighter, he serves as a Captain on the South Pigeon Lake Fire Department. Since reading "Frozen in Time: The Fate of the Franklin Expedition" (Beattie & Geiger), he has been fascinated by the Franklin mystery. A trip to Beechey Island in 2014 to see the Franklin Expedition graves cemented his resolve to visit the ghosts on the West Coast of King William Island.